Press Room » Blog » High School Summer Musical Theater Experience Returns With WEST SIDE STORY! High School Summer Musical Theater Experience Returns With WEST SIDE STORY! 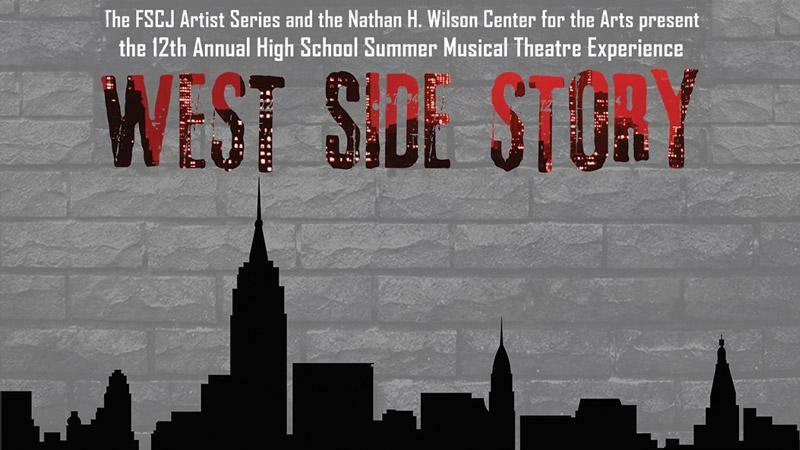 The 12th Annual High School Summer Musical Theatre Experience (SMTE) will perform WEST SIDE STORY on July 21-30 for six performances only at the FSCJ Nathan H. Wilson Center for the Arts! FSCJ Artist Series and the FSCJ Nathan H. Wilson Center for the Arts are proud to present the 12th Annual High School Summer Musical Theatre Experience! This program provides theatre opportunities to 7th-12th graders in the First Coast area and allows them to work hands-on with some of the highest recognized local and regional theatre professionals. This year, participants will perform WEST SIDE STORY on July 21-30 for six performances only at the Wilson Center for the Arts on Florida State College at Jacksonville’s South Campus (11901 Beach Blvd). 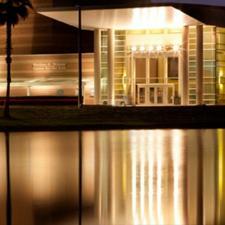 More than 90 student performers and technicians are training for the production of WEST SIDE STORY. From the first notes to the final breath, West Side Story is one of the most memorable musicals and greatest love stories of all time. Arthur Laurents' book remains as powerful, poignant and timely as ever. The score by Leonard Bernstein and Stephen Sondheim is widely regarded as one of the best ever written. The world's greatest love story takes to the streets in this landmark Broadway musical that is one of the theatre's finest accomplishments. Shakespeare's Romeo and Juliet is transported to modern-day New York City as two young, idealistic lovers find themselves caught between warring street gangs, the "American" Jets and the Puerto Rican Sharks. Their struggle to survive in a world of hate, violence and prejudice is one of the most innovative, heartwrenching and relevant musical dramas of our time. Friday, July 21 at 7:30 p.m.
Saturday, July 22 at 7:30 p.m.
Sunday, July 23 at 2:00 p.m.
Friday, July 28 at 7:30 p.m.
Saturday, July 29 at 7:30 p.m.
Sunday, July 30 at 2:00 p.m.
Limit 2 discounted tickets per valid ID. For tickets to WEST SIDE STORY, call the Wilson Center for the Arts Box Office at (904) 646-2222 or the FSCJ Artist Series Box Office at (904) 632-5000. Please contact Ashley Williams at ashley.williams@fscjartistseries.org or (904)357-8938 for show materials and interview opportunities for SMTE’s production of WEST SIDE STORY.